Don't you find users are always complaining about the 'number of clicks' it take to do things? Although, the standard Run Workflow button provides a lookup to find a particular workflow to run, it would be nice to provide 'short-cut' buttons to run commonly used workflows. The following solution demonstrates adding a 'short-cut' to a Workflow already created on to the Contact form and grids. The Grid button will run a workflow on the selected records. Open the Process Centre Workflow in the designer and press 'F11' to show the address bar - then copy the URL. Extract the Workflow ID from the url and save for later. 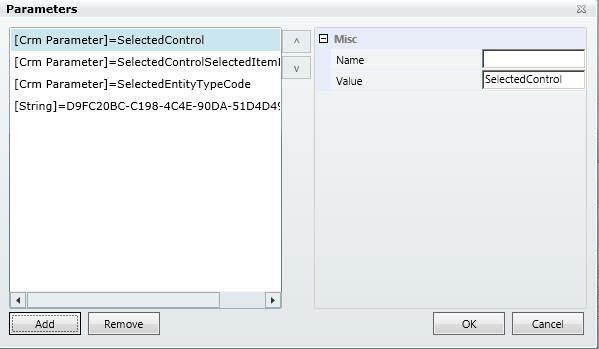 Create a solution and add the Contact Entity along with the ribbon button images that you want to use on your button. See the Getting Started Guide for more information on buttons. Load the new solution into the Ribbon Workbench. 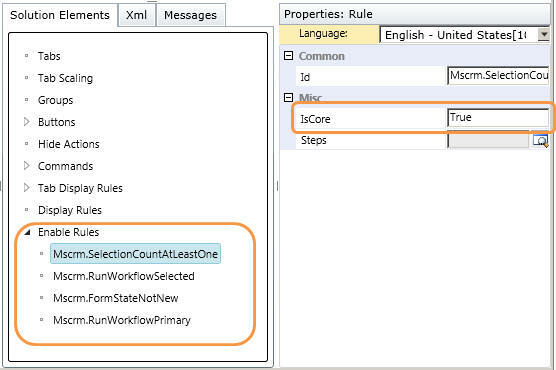 In the 'Solution Element' panel, add the following EnableRules and mark each one as 'IsCore=True' in the properties. This will ensure that the button is only enabled if workflows can be run on the current record. This will ensure that the button will only be enabled if there are records selected and they can have workflows run on them. Select the 'Home Page' ribbon using the drop down in the top right of the design surface. You will now be able to run your chosen workflow from the form and sub-grids and you will see the standard dialogs. 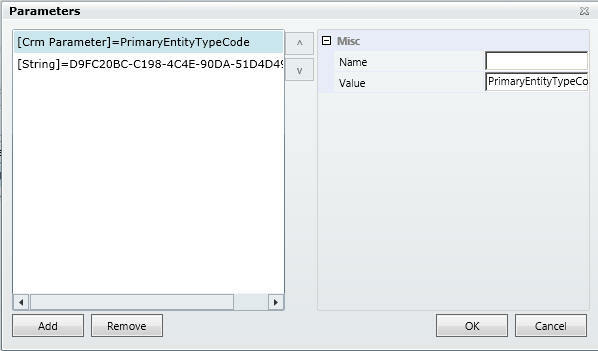 This no-code solution is great for quickly implementing those 'less-clicky' user requests!